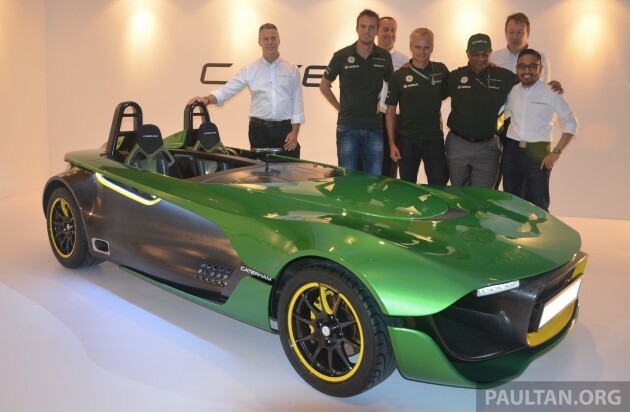 Caterham Group has released an official statement saying that it is not for sale, but that it is actively looking for additional investment as it seeks to fulfil ambitious plans to develop. Reports circulated over the weekend saying that Fernandes could be planning to sell niche sports car company Caterham Cars and its Formula One team for around 350 million pounds (RM1.9 billion). Politically correct way of saying “for sale”. or already had been sold.. It was probably worded to sound like either for sale, or looking for investors. Then, people will read assuming worst case scenario as “for sale”. Then when get negative feedback, can always claim it was misunderstood. Classic “testing the water” method. Proton, Lotus support Norwich team. Why Bolehland keep on supporting loser EPL clubs…? And this is related to the above because???? i won’t be surprised if Caterham indeed is sold later on, unless there are some unknown deals going on behind the scene. Tony Fernandes is a businessman, so i don’t think he will tolerate the performance of the company for long, and it’s not like he doesn’t have any other investment options to make his money grow. Unless, like i say, there are certain deals going on behind the scene and causing Tony Fernandes to stop the bidding.